Jerry Bridges: If I “died to sin” why do I keep sinning? The question arises, however, “if we died to sin’s dominion, why do we still struggle with sin in our daily lives?” When Paul wrote, “We died to sin; how can we live in it any longer?” he was referring, not to the activity of committing sins, but to continuing to live under the dominion of sin. The word live means to continue or abide in. It connotes a settled course of life. To use Paul’s words from Romans 8.7, “The sinful mind [one under sin’s dominion] is hostile to God. It does not submit to God’s law, nor can it do so.” But the believer who has died to sin’s reign and dominion delights in God’s law. the believer approves of it as holy, righteous, and good (Romans 7.12), even though he or she may struggle to obey it. We must distinguish between the activity of sin, which is true in all believers, and the dominion of sin, which is true of all unbelievers. Sinclair Ferguson has written, “Sin is not primarily an activity of man’s will so much as a captivity which man suffers, as an alien power grips his soul. It is an axiom [John] Owen [whose teaching Ferguson is summarizing] that while the presence of sin can never be abolished in this life, nor the influence of sin altered (its tendency is always the same), its dominion can, indeed, must be destroyed if a man is to be a Christian. Therefore a believer cannot continue in sin. We no longer live in the realm of sin, under its reign and practical dominion. We have, to use Paul’s words, died to sin. We indeed do sin and even our best deeds are stained with sin, but our attitude toward it is essentially different from that of an unbeliever. We succumb to temptations, either from our own evil desires (James 1.13), or from the world or the Devil (Ephesians 2.1-3), but this is different from a settled disposition. Further, to paraphrase from Ferguson on John Owen, our sin is a burden that afflicts us rather than a pleasure that delights us. The late Scottish theologian John Murray wrote on Romans 6.2, “What the apostle has in view is the once for all definitive breach with sin which constitutes the identity of the believer.” A believer cannot therefore live in sin; if a man lives in sin he is not a believer. If we view sin as a realm or sphere then the believer no longer lives in that realm or sphere. 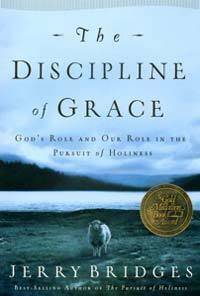 My perception of present-day Christendom is that most believers have little understanding of what Dr. Murray calls the “once-for-all definitive breach with sin.” But it is this decisive deliverance from the dominion of sin through union with Christ in His death that ensures that a true believer will not have the cavalier attitude, “Shall we go on sinning so that grace may increase?” If a person does have such an attitude, it is a likely indication that the person is not a true believer, however much he or she professes to have trusted in Christ for salvation.